Raymond G. Chadwick Jr. - Mediator & Arbitrator based in Augusta, Georgia. 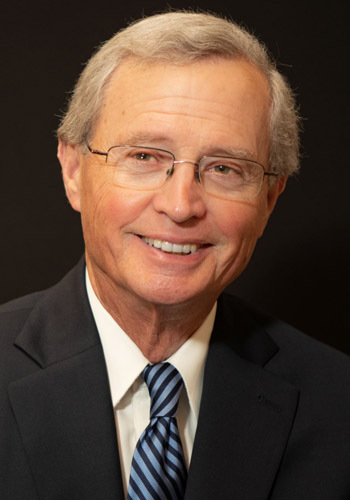 During his 32 years of active litigation practice prior to becoming a full time mediator and arbitrator, Ray Chadwick represented plaintiffs and defendants in a broad range of cases in state and federal courts and mediations. They included personal injury, wrongful death, product liability, medical malpractice, commercial/business/contract, insurance coverage and employment disputes. He has also mediated cases in each of these areas serving as a private and court appointed mediator. Additionally, Ray has served as an arbitrator and as a special master for state and federal courts. He taught business law at the Hull College of Business, Augusta State University. Ray is a past chair of the Dispute Resolution Section of the State Bar of Georgia. Ray has served as program chair for Georgia Institute of Continuing Legal Education programs on dispute resolution and made presentations entitled “Preparation for Mediation,” “Things I Think I Have Learned About Mediation – Keys to Success and Keys to Failure,” “Spinning at Mediation: Posturing, Advocacy and Negotiation to Achieve Success,” “ADR for Business Disputes”, "Ten Things (and maybe more) Mediators "Hate" About Lawyers", "What Mediators Can Do to Help You Settle Cases-Ethics and Techniques", and "Early Neutral Evaluation"and “Mediation Ethics.” Ray is registered with the Georgia Office of Dispute Resolution as both a mediator and arbitrator. He has been selected by his peers to be included in The Best Lawyers in America in Arbitration and Mediation, and Commercial, “Bet the Company,” Product Liability and Personal Injury litigation. For two party mediations $150.00 per hour per party. For three or more parties please contact me.